Colin Buchanan was asked to join the Liturgical Commission of the Church of England in 1964, to bring in evangelical convictions. He has been at the centre of liturgical developments for over 40 years, and has thus lived and contributed through a time in the Church of England when first the original experiments service, then the Alternative Service Book 1980, and many years later, Common Worship, were being created and negotiated. This book reveals some of the characters and issues involved in the revisions process - from Cranmer to the present day. 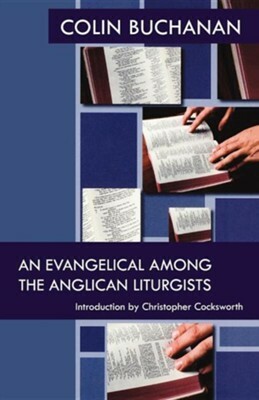 At once scholarly and entertaining, An Evangelical Among the Anglican Liturgists reveals not only the long-running processes of Anglican liturgical revision, but also gives a picture of one man's sustained involvement in it. I'm the author/artist and I want to review An Evangelical Among the Anglican Liturgists.